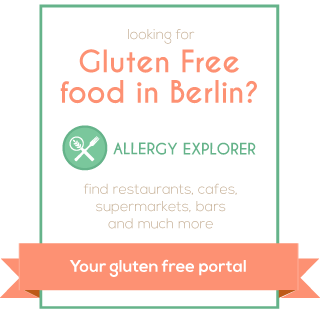 If you’re a regular reader of this blog, it should come as no surprise that I’ve been unhappy with the state of gluten free bread in Germany for many years. Yes, technically, the bread you can buy now is much much better than what you could buy six years ago. But, saying that, I have also become desensitised to how bad the gluten free bread is here and I have lowered my standards a little to accept it. All of this unhappiness is due to the fact that I have sampled very good gluten free bread back in the UK and in other countries. I know how good a gluten-less life could be like and, in comparison, how bad it is here. Thankfully though, the lovely lovely people at Genius Gluten Free have decided to save us all and launch their products here in Germany. Now, some of you (probably the British amongst my readers) will have just experienced their head exploding with joy. For the rest of you unfamiliar with Genius, they produce perhaps the best gluten free bread you can buy in a supermarket, anywhere. Now, this is quite a statement and I’ve not tried every single bread in the world, but there is such a difference between the Schaer and Schnitzers of the world and Genius, I feel pretty comfortable saying it. If you’re thinking “Oh, I’ve tried all that gluten free bread before, it’s terrible. I’ve given up completely on bread and I’m not going to bother with another one.”. Give it a chance. Buy a loaf or two and some rolls. You will be happier. Four types of loaves, muffins and buns! Happiness. Plus, they gave me a little deeper knowledge into the company and what it is they’re trying to do. Basically to make life normal for us, to make us feel like we don’t just have to ‘make do’ with bad gluten free products. How many times have you bought a packaged loaf from some biomarkt that was probably baked a month ago and had to reactivate it with grilling or some such just to make it taste passable? Other people don’t have to do this, so why should we? But, I know you really want to hear about the actual bread. So, the first thing I had to try was the white rolls. The easiest way to put this is that rolls like these are simply not available here in Germany. You can buy ‘rolls’ here but they’re more akin to a solid lump of stone that has never even heard of the concept of air. Yes, they are every bit as amazing as they look. Soft, delicious and very close to ‘real’ bread. You simply have to try them to believe how good they are. Plus they have a seeded version (they are equally as good, although this photo was taken a few days later when they were a little less fresh, hence the slight crumble). Then, of course, I had to wash down the rolls with a muffin. Just look at it. Lemon and poppy seed. It was easily better than any muffin I’ve had here, even those ‘freshly baked’ ones that are available in cafes. Then there is the fruit bread. Another one of these products you cannot buy here and it is simply delicious. There are other loaves, a couple of darker ones and a white, but for now I’ll leave you with the tease of the ones above. The reason for this is that they will soon start selling genius in a few select Kaisers!!! YES!!! Actually just being able to walk to the shop and buy some on a whim!!! It will be a trial to see how well the breads sell, so we’ll all have to go and buy lots and lots to convince them to stock Genius forever! I’ll post up part two of my review then as a little reminder. Although, if you can’t wait, be sure to check out Sole Satisfaction for her own review (and amazing photos) of all the genius breads here. Another great review. I wish I were in Berlin to give these a try. They look delicious. I even see my old Kaisers at Nollendorplatz is on the list. Hope all is well in Berlin! Thank you for the kind words and link love, Adam! You really captured the gloriousness of those rolls – which I forgot to do, as I was too busy stuffing them in my face! 😉 Think we should coordinate a GF tour to buy out all the bread in Berlin when it launches…? Arrg… why Kaisers? It looks great and it seems, I have to add Kaisers on my shoppinglist for the next shoppingtour in Muddastadt.. This is great news. I really hope they can get a market hold in Germany. The other day I was in Edinburgh, and saw that Shaer now sells their bread in Scotmid supermarket. While there were (amazingly delicious) Genius crumpets, they didn’t have Genius bread, which was a bit strange since I think they are at least partially based there.